If you love spa days and your partner loves golf, or vice versa, then Angus would be a great place to look to for a spa day. 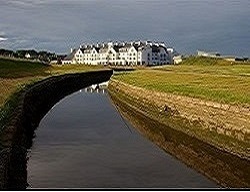 The Carnoustie Hotel, Golf & Spa is home to a wonderful challenging golf course, a luxury hotel and a relaxing and tranquil spa. If you both enjoy a round of golf then book an early tee time, enjoy some lunch and then spend the afternoon in the spa relaxing and enjoying your chosen spa day. If golf isn’t you thing, this venue offers some luxury spa day packages with up to three hours of treatments each that are sure to leave you and you partner or friends feeling refreshed and revitalized. From great value spa days starting from as little as £7.50 per person, which include full use of the leisure facilities, to the more expensive packages, The Carnoustie Hotel & Spa is sure to have you covered. Make use of the terrace overlooking the golf course on a summer’s day and enjoy your lunch and a drink in the sunshine with a picturesque backdrop and wonderful service.